Foot Care – Esther will be here Tuesday, July 7th; call to confirm your appointment. Psychologist- Dr. Connors is in every Thursday, please call 24hrs in advance if you’re unable to attend. Dental Hygienist – Patricia Plumb will be in the Health Station Friday, July 3rd; call to make your appointment. Please be advised that there is NO Boys and Girls Group for July and August!!! Daystar will be here August 10 – 14, 2015. Registration Forms will be available in July!!! For a schedule of games, please contact Chuck Baker!! Reminder to book the ball park through Community Recreation Activator Chuck Baker. The Pow Wow Committee invites you to come and volunteer your time on July 29th & 30th to prepare the Pow Wow grounds. 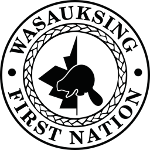 A Planning Team has been meeting to organize a Water Walk from Wasauksing Swing Bridge to the Sacred Turtle at Shawanaga Landing. Everyone is welcome to participate in some way: Volunteering; Donating – snacks, water, care takers, feast food; and zhoonya for gas. If you are able to participated in some way contact Kellie King or Faith Pegahmagabow @ the Health Station 705-746-8022 or Sherrill Judge at the Shawanaga Healing Center 705-366-2378. The Water Walk is to honor the spirit of our waters and our role as Caretakers of Mother Earth. Beginning July 1st, anyone who comes into the Health Station will be eligible to enter into the monthly draw. To enter, please sign in each time you come into the Health Station for programs and/or appointments. Your name will be entered into the draw which will take place at the end of each month. July 31st Draw is two North End Jacket sizes xl & xxl. One is blue/grey the other is black/grey. We look forward to seeing you!!! Women’s Group- next scheduled session will take place in September!!! Foot Care – Esther will be here Tuesday, Aug 11th & 18th call to confirm your appointment. Psychologist– Dr. Connors is in every Thursday, please call 24hrs in advance if you’re unable to attend. Dental Hygienist – Patricia Plumb rescheduled date is Friday, Aug 21st; call to make your appointment. SUMMER PROGRAM – for children ages 7 – 12 years will run from July 14, to August 21 At the WACC. . REMINDER TO REGISTER FOR DAY STAR August 10 – 14, 2015. Register with Maggie @ Health Station!!!!! Health & Social Service Meeting – next scheduled meeting is September 8th !!! August draw for those who come into the Health Station are eligible to enter the monthly draw. To enter, please sign in each time you come into the Health Station for programs and/or appointments. Your name will be entered into the draw which will take place at the end of the month. Drop in and sign up…we’ll have the next month’s prize in the front area!!!! Sign Up for the First Nation Conservation Program!! WFN Forest Inventory and Forestry Plan will begin May 2019!